Flyers defenseman Radko Gudas takes down Edmonton Oilers right wing Zack Kassian during the second-period on Saturday, February 2, 2019 in Philadelphia. Playing in Europe will be a first for the Flyers, and the franchise will have a chance to spread its logo overseas. And two of their players, Radko Gudas and Jake Voracek, will have a chance to go home. The Flyers will open their 2019-20 season in Prague with two games against the Chicago Blackhawks, the league officially announced Thursday. For Czech Republic natives like Gudas and Voracek, and Dominik Kahun and David Kampf of the Blackhawks, it’s the perfect way to start the season. 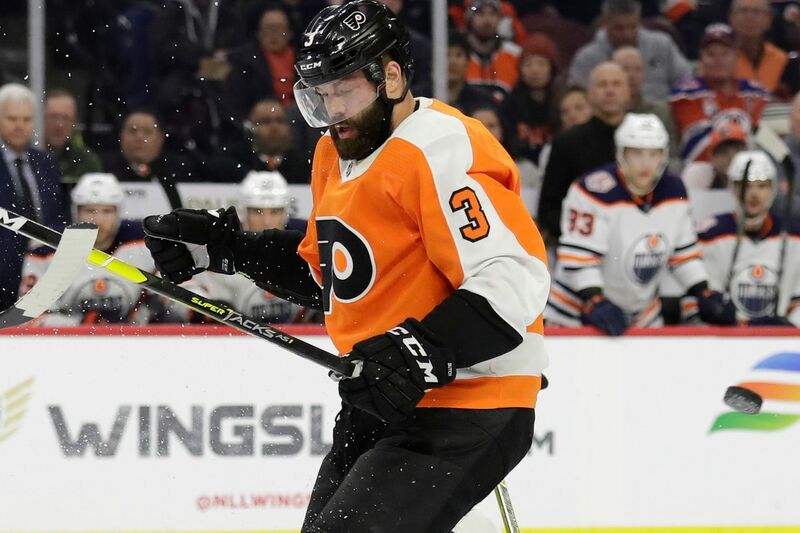 In the summer, Gudas, his wife and two small children live in a town about 20 minutes from Prague and not far from Voracek, who grew up in Kladno. Based on Twitter responses, hundreds (thousands?) of Flyers fans plan to make the trek to Prague. Gudas said they are going to like what they see. The city has a charming flavor, Gudas said. The Flyers are expected to have several practices in Prague before the games are played. “A week is what it usually takes for the body to naturally adjust,” Gudas said. The Flyers’ power play was 0-for-17 in its last seven games before Tuesday. Interim coach Scott Gordon blamed some of it on poor performances in the faceoff circle. But the Flyers were clicking at a healthy 65.5 percent (19-for-29) on power-play draws during that span. Poor zone entries and too much passing have been other factors. Defenseman Phil Myers (flu) missed the game and was replaced by Andrew MacDonald, who had been a healthy scratch in five of the previous nine games. ... Right winger Justin Bailey was recalled from the Phantoms for the third time since Thursday, but he was a healthy scratch.